Golden Dragon Buses shares a responsibility to make a better future for your life. Xiamen Golden Dragon Bus Co.,LTD is a joint venture company established in 1992 and specialized in developing, manufacturing and selling medium-large sized luxury buses and light vans. The premises area of Golden Dragon is up to 960,000 M2 with the construction area of 310,000 M2. 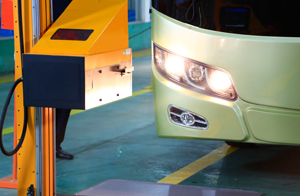 As a national leading complete-vehicle export base, Golden Dragon has three manufacture plants and approximately 4,000 employees with an annual output capacity of more than 40,000 buses. During the past years, Golden Dragon has made significant investments to expand the production capacity, make technology innovations, pursue new solutions, adopt the highest quality standards and improve the after-sales services. In overseas market Golden Dragon ranks among the top players in China's coach industry in terms of annual output capacity, range of products and sales volume. Overseas marketAs early as 2003, Golden Dragon has established relationship with overseas distributors. So far, the buses are exported to nearly 120 countries and regions in Asia, Middle East, Africa, South America and so on. The overseas market survey is a routine job for Golden Dragon to learn more about the requirements and end-users' demands. Quality is the first priority of our concern. Golden Dragon seeks to offer high quality vehicles that meet its customers’ standards and specific demands at affordable prices. Therefore, Golden Dragon has invested a lot in manufacturing and testing facilities to ensure the qualified products. Besides that, ISO9001: 2000 standard is implemented all around, and the whole-process quality control system is strictly carried out for every assembly line. The suppliers are audited regularly to be qualified. All materials are subjected to stringent inspection and testing against technical parameters required. 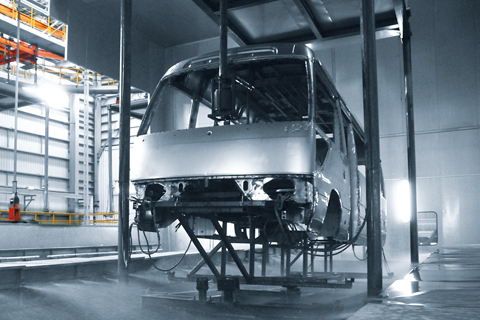 The 5S Quality Management System has been set up in every workshop and the technique document issued by the technical center gives the concrete direction. The testing facilities have been applied to guarantee the quality: wheel alignment instrument, platform for rollover test and so on. Making a difference through technology innovation. 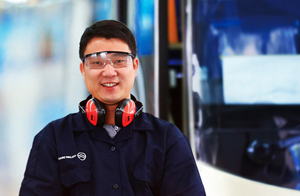 Golden Dragon has more than 150 professionals with expertise in complete vehicles, chassis and electric equipment. Meanwhile, Golden Dragon insists on establishing extensive cooperation in chassis and other bus components with international companies like MAN, ZF，BOSCH, WABCO, Voith, Hino and Hyundai. Besides that, Golden Dragon also has successfully cooperated with Belgium Enthoven and Italian Bonetto in the body design for several bus models. Such international exchange and cooperation help Golden Dragon to develop its core technologies. Golden Dragon believes in that the technology innovation can create added value by low maintenance cost, less fuel consumption and alternative green fuels. The application of cathodic electrophoresis treatment on the complete bus guarantees anti-corrosion property of bus body for more than 10 years, prolonging service lifetime of the body and reducing the maintenance cost. Monocoque technology reduces the vehicles' curb weight, which contributes to lower fuel consumption and less pollution. 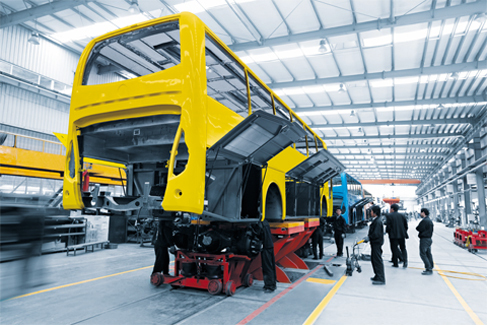 For all bus models, the application of assembly technique in monocoque mode efficiently improves bus' anti-corrosion performance.